In cooperation with our Australien distributor, Amber Technology, we're presenting two Microphone Masterclasses. Please join us in Sydney and Melbourne. Are you new to the audio world and want to start your career off at a high level? learn about the newest technology, trends, tips and tricks. 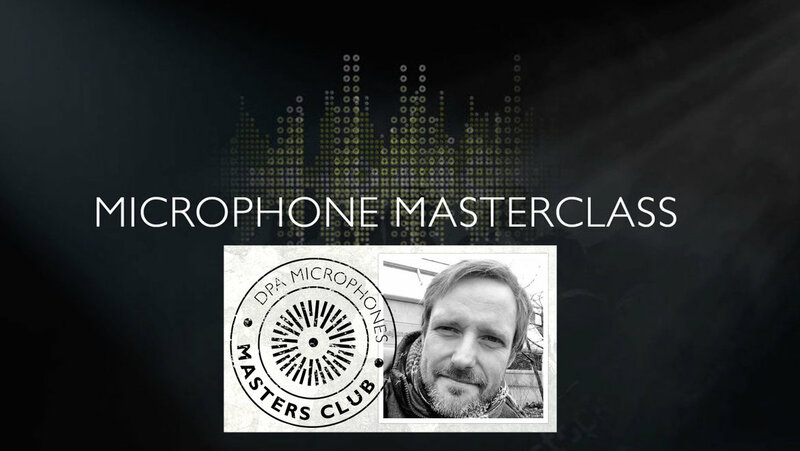 Either way, the DPA Masterclass with Rune Slot will allow you to meet, network with and learn from the best audio experts in the business. and miking technique demos from the best Masters of Audio in the business. Rune is a touring sound engineer who works mostly in the rock and roll genre. He is also a monitor engineer by trade and have always worked both sides of the multi. He's worked on theatre and musical productions worldwide, both as sound designer and engineer and has owned recording facilities in Copenhagen including The Dusty Goat Studio. The studio is very well sounding for both mix and recording. Rune currently works as a product specialist at DPA Microphones. Precision engineering and miniscule optimizations of our capsule technology have created a subminiature that significantly outperforms all other mics in their class – and beyond. The 6066 mics sport a completely redesigned, lightweight, one-size-fits-all headset that attaches over the ears for maximum comfort. What they lack in size, they more than make up for in clarity, consistency and durability – three qualities that really matter.